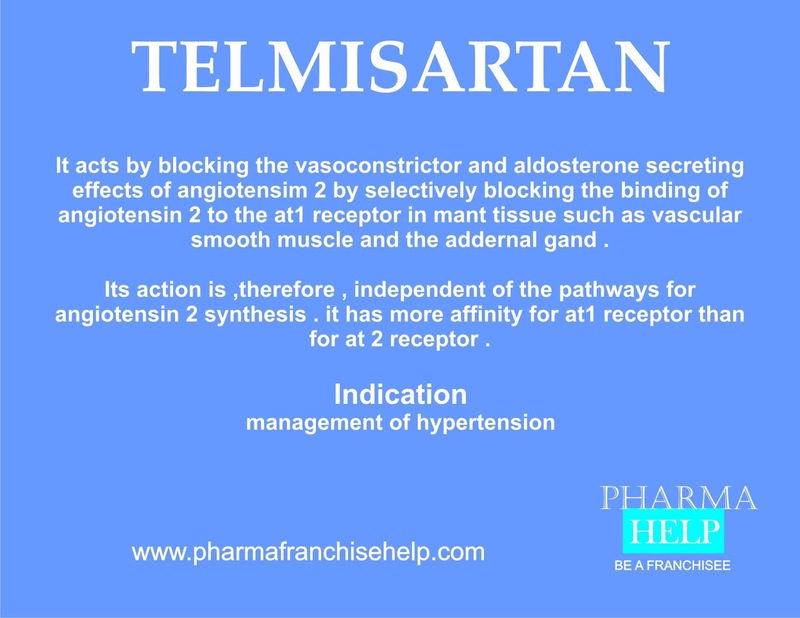 It acts by blocking the vasoconstrictor and aldosterone secreting effects of angiotensim 2 by selectively blocking the binding of angiotensin 2 to the at1 receptor in main tissue such as vascular smooth muscle and the addernal gand . Its action is ,therefore , independent of the pathways for angiotensin 2 synthesis . It has more affinity for at1 receptor than for at2 receptor .